I heard of Falling Whistles about two years ago. To be honest, I had a moment of thinking, "How horrible!" and then I went right back to living my life. Not ok. It is not ok to have knowledge about this or any horrendous darkness and to turn our heads as though it doesn't exist. So let me tell you now. If you will not respond to the hurting, hungry, and dying that we will address in World Changer Wednesdays, do not read themI say this, not out of pride. I am guilty of closing my eyes. I tell you this because it is easier to turn away now then to have your eyes opened and then pretend for any sustained time that you do not know. If you do continue on, I ask for you to be a part of the accountability in this community to be a part of the solution. I am not asking you to give to every need. You can't. I can't. I can't give my money to every organization. I can't go to serve every hurting people. But I can, WE can pray. We can tell their stories. That being said, let me tell you the story of Falling Whistles. FW was started by Sean Carasso. He had been volunteering with TOMS and Invisble Children and then in 2007 he decided to take a short trip to the Dominican Republic of Congo. His short trip turned into a life-changing mission. Sean came face to face with boys who had been abducted by rebel armies and forced to fight. It was these five boys that told Sean of the whistleblowers. Nkunda's rebel army abducted boys and trained them to fight, but there were some who were too small. They could not hold a gun. Still, Nkunda's army had a use for these little ones. If they were too small to hold a gun, then they would be given a whistle and sent to the front lines. As the rebel army attacked, the little boys would blow their whistles to scare the opposing troops and then as the startled troops began to fire, the whistleblowers would act as a baracade. They would be killed by the first round of gunfire. If they tried to run, Nkunda's men would fire at them from behind. Sean knew that he could not return home and pretend he did not know. He had to do something. But just as many of us in the face of horror, he was at a loss. All he knew to do was tell the story. So he did. He emailed friends and family about what he had seen and heard. And they in turn were enraged by the darkness. When Sean returned home, a friend greeted him with a hug and a gift: a whistle. Now Sean asks that we be whistleblowers. That we stand between the boys and the opposing troops. He started this non-profit and they have just finished a tour to spread the word. 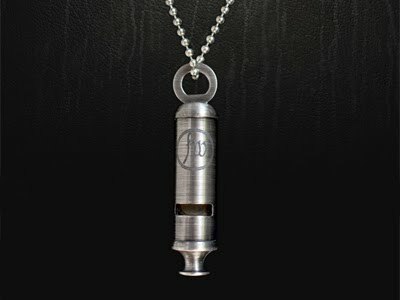 You can buy a whistle to wear as a reminder to pray and to tell their story. You can host an event. You can even intern with Falling Whistles. They have all sorts of suggestions about how to get involved here. All I am asking you to do is pray. Right now. Wherever you are. Stop. Stop reading this and pray. Pray for Sean and the FW team. Pray for missionaries in Congo. Pray hard for those little boys, for rescue, for healing, for peace. And pray that God would hear their cries and that he would extend his mercy to Congo. It is a war-torn land. It's people have been taken advantage of for centuries. Pray that God would move toward them and bring them out of captivity. Pray for salvation. Congo has begun to have a special place in my heart. You see, my great-great aunt, Flora Foreman was a missionary in the Belgian run Congo from 1920-1951. 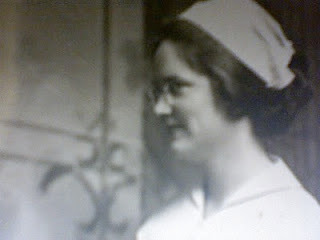 She was a nurse. The only missionary in my family as far as I am aware. As the Lord continues to stir my heart for the world, I can't help but be thankful to know that I would not be the first in my family to leave the familiar. There is a heritage that maybe skipped a couple of generations and over a couple of lines, but it is there nonetheless. Not everyone will go, and I know others in my family love the lost and the glory of God. And I may not ever go, the Lord may keep me here. But still it is awesome to have a tangible example of God's movement in my lineage towards the nations. In October, my grandmother even gave me a picture of Flora. Let me leave you with one final word. At Passion 2011 Francis Chan told a story of a Christian who lived through the Holocaust. This man went to church near the railroad tracks. He said that as the train approached they could hear the screams from the Jewish prisoners as they were being taken to their camps. What did the church do in response? They sang louder, he said. They would sing at the top of their lungs so they could drown out the sound of the cries. Francis Chan then proclaimed, rightly, "We cannot just sing louder. We have to do something. Our lives must make sense in light of the Gospel." Don't just sing louder. Don't just find something else to read or do so that you forget what you have just read. Pray. Pray. And allow the gospel to determine your response to this war.